We sat around the dinner table with family some time ago and my brother in law, Joel, found out that Elijah started investing in the stock market last year. Elijah talked about what companies he had picked to invest in and the rational behind his choices. And he said this all while wearing pajamas. It just seemed a little bit funny I suppose, that a 9 year old (this was before he turned 10), would be chatting about financial investments. So Joel said, “Why don’t you write an article about it and call it ‘Pajama Stocks. '” I thought…that’s a great title. I love it. But I had put it off until today, when Edric asked me to have Elijah share about how he ventured into it to encourage parents to teach their kids to start being financially literate early. I first became interested in financial markets two years ago. My dad had asked me if I wanted to invest in stocks and we did some research together online to understand the process better. My dad told me to fill out the online form of Citisec but I actually lost the form and forgot about it. 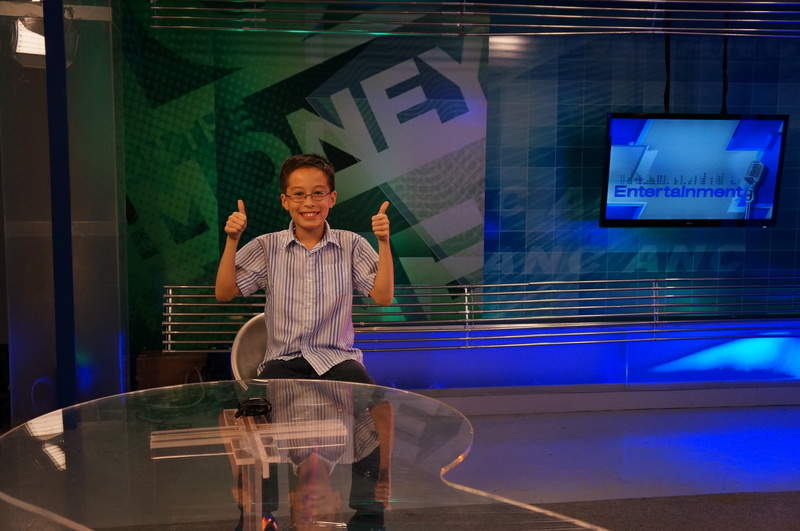 It wasn’t until last year, when I was 9, that I became interested again, especially since my dad was hosting a money show. He would talk about financial investments often. And since he promised to help me set up an account, he told me that I would join a stock seminar with him so we could do it together. By then, the name of Citisec online had changed to COL Financial. I was so excited and nervous. I was in a room with a lot of adults, including my dad and I was the youngest person attending the seminar. The seminar took about two hours. It was very interesting. I learned about tips on investing and how the stock market works, and what companies were performing the best at that time. For example, I learned that Jollibee had grown 40% from 2009 to 2011 because they kept reinventing. And a lot of people like to eat in Jollibee. The seminar was like a homeschool lesson for me. When we got home, my dad told me he would give me a fund to work with but I had to do research. A lot of research. For one whole day I looked up different companies from different categories, like financial, services, industrial, property, holding firms, and mining and oil. All this information is available on pse.com.ph. My dad also gave me some advice. I was also able to study the background history of a few companies to track their performance over the years. What really helped me were the charts that showed how the companies have performed over time because I could see changes, gains and loses. One company even lost 500%! I am not going to tell you which one? Several weeks later, while my dad and I were having one on one bonding time, he helped me set up my account and invest in my top picks. I chose BDO, BPI, Ayala Corporation, Aboitiz, Globe, and Ayala Land. Recently, I also added Meralco. My main criteria was to get companies that went up steadily for the last two years because I intended to do long term investments. That’s why I didn’t invest in mining and oil. I found their performances too wild. The one exception was the company 2Go, which I plan to use for market timing. It will just be a short-term investment and experiment. Since it’s passport season for people going on vacation, I hope that its stocks will go up so I can sell them. Since I invested in stocks last December, by God’s grace, my stocks have grown. I’ve earned a little bit of money and it makes me more excited. It also makes me realize that earning money is not easy! Now, when my parents or people give me money, I think of how I can invest it again or, okay, buy online books because I love to read. I’m still learning a lot about the stock market and actually, I just invested a small amount to get experience compared to what older people do. But I put it in as much as my dad gave me because he told me it’s not good to leave money lying idle in an account. It won’t grow. In the COL seminar, I learned that inflation rates are higher than interest rates. So it’s not good to leave money in a bank account, either. I’m thankful for this experience. And I think it would be helpful for other kids to learn how to manage money, too. We don’t have to wait until we are older. The earlier we start, the more time our investment has to grow. I’m praying that my investments will grow if it’s God’s will so that someday I can use it to bless others, to tithe, and to save. I’m embarrassed to admit that Elijah knows way more than I do about the stock market. One evening, when a female relative asked him why he didn’t invest in their company, Elijah replied, “Honestly, your company doesn’t have historicals in the PSE yet, and if you look at your growth last year, you only grew by 0.2%.” Everyone who was within ear-shot of this conversation started to laugh out loud. I was slightly floored. Who are you?! I thought, looking at Elijah. At the same time, I realized that homeschoolers have unique opportunities that other children don’t have. They have the advantage of time to pursue interests. Elijah would be swamped with homework if he were a 4th grade student in a conventional school. However, our homeschooling lifestyle allows him to explore and learn beyond books. 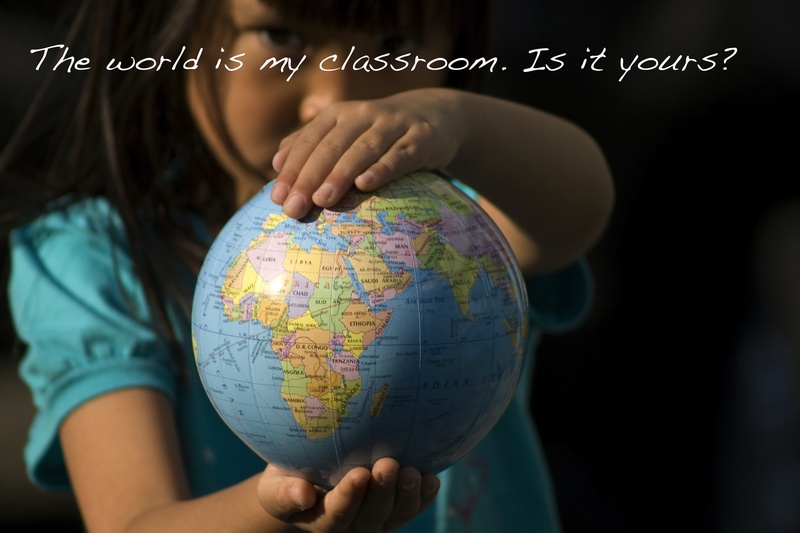 Some years ago, I created a tagline for one of TMA Homeschool’s advertisements, “The World is My Classroom. Is it Yours?” Just like his siblings, Elijah surprises me with lessons learned that are beyond the scope of what I have taught. It’s humbling and encouraging at the same time to know that my children are not limited by what I can give as a teacher. This is one of the benefits of homeschooling — children have access to a world of experiences that no other conventional classroom can possibly give them. Elijah, you are one gifted child! This all the more convinced me (us) to start investing now. Will Elijah be giving seminars to other kids soon? I’d like for Alexa to join! Haha! Seriously, think about it, Edric and Elijah doing an investment/financial talk to parents and young kids. That would be interesting. I am really amazed how God has gifted your children. I am also a believer of home schooling. Being an educator in a conventional school, I was able to weigh the pros and cons between children studying in a conventional school or homeschooling. Smart kid! When he knows so much more, I’m sure he’ll be a successful trader also. Grabe, he takes the time to background check those companies? And he understands charts?! Whoa! I’m impressed! Keep it up, Elijah!!! Yep, he is smarter than I am. ha ha ha. Praise God! I’m amazed to have found your blog while researching about homeschooling. Would you happen to know any information about Kids’ World Integrated School? I’m interested in enrolling my daughter there. have a problem with is deciding which strategy will work best for them. Most ideal approach to profit online. Im single and I will do that to to my future kids too If God permits! But alot of works or things to learn by myself for now,, Nice topic! I enjoyed reading and learning from your blog hope to meet you in the future .. I admired a woman of God like you very inspiring even Im not a mom yet .. 🙂 to God be the Glory .. for youre upcoming projects! Praise God and thank you!